I am Blake Steed, and a tech responsible for the quality control and cleaning of camera gear here at LensRentals.com. 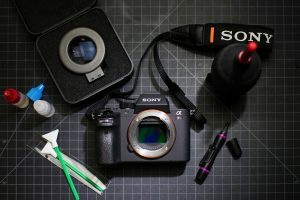 I have been for just over 4 years, and have seen almost everything that might be on a camera sensor. We have almost every modern type of DSLR available and I have cleaned the sensor on every one of them. I also instruct all of our new employees as to the process we incorporate to ensure quality rentals every time.